Theresa May has promised MPs a final, decisive vote on her Brexit deal with the EU – but not until she has secured changes to the Irish backstop clause. Speaking in the Commons, the PM said she had a “mandate” to seek changes to the backstop as MPs had voted for it. “We now need some time to complete that process”, she added. If no agreement is reached by 26 February, then MPs will get more non-binding votes on Brexit options the following day. The final vote on whether Britain leaves the EU on 29 March with a deal would be pushed back into March. Labour leader Jeremy Corbyn accused the PM of “recklessly running down the clock” in an effort to “blackmail” MPs into backing her deal, and asked when MPs would get a final, “meaningful” vote. He said: “We were promised a meaningful vote on a deal in December, it didn’t happen. We were told to prepare for a further meaningful vote this week after the prime minister again promised to secure significant and legally binding changes to the backstop and that hasn’t happened. The SNP’s leader at Westminster, Ian Blackford, was reprimanded by Commons Speaker John Bercow for shouting “liar” at the prime minister as she was making her statement. Mr Blackford agreed to withdraw his remark “in deference” to the Speaker, but did not apologise to Mrs May. MPs are banned by Commons rules from calling other MPs liars in the chamber. The backstop arrangement is the “insurance” policy in Mrs May’s deal to avoid a return to border checks on the island of Ireland. The EU has reiterated it will not renegotiate the withdrawal agreement. Mrs May is making a statement to MPs, ahead of a debate on Thursday on the next steps for Brexit. She promised to give MPs a “stronger and clearer role” in the next steps, and said she would return to the Commons for a meaningful vote on her deal “when we achieve the progress we need”. 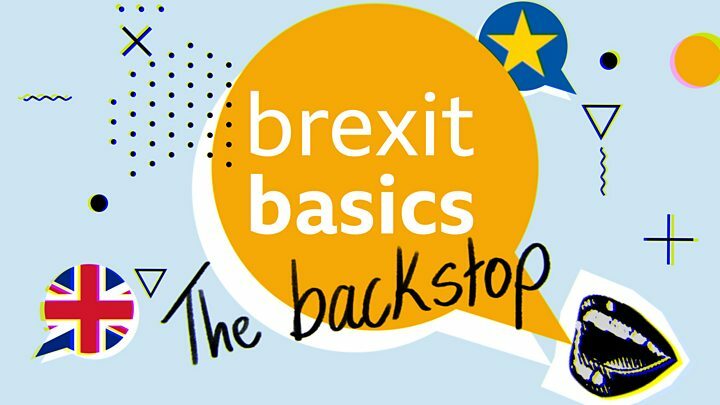 The PM said she was discussing a number of options with the EU to secure legally-binding changes to the backstop: Replacing it with “alternative arrangements”, putting a time limit on how long it can stay in place or a unilateral exit clause so the UK can leave it at a time of its choosing. But if negotiations had not secured this, Mrs May would table an amendable motion on 26 February to be voted on the next day, giving MPs more of a say. The PM said talks were at a “crucial stage”, but she still believes it is possible to get a deal that MPs can support. “We now all need to hold our nerve to get the changes this House requires and deliver Brexit on time,” Mrs May told the Commons. The Labour leader said MPs were being “blackmailed into supporting a deeply flawed deal”, calling it “an irresponsible act”. He said Mrs May was “merely engaged in the pretence of working across Parliament to find solutions”, but she has “not indicated she will move one iota” on her red lines. Mr Corbyn criticised other members of government too, adding: “No minister serious about protecting jobs in this country would allow a prime minister to deliberately run down the clock and play chicken with people’s livelihoods. Mrs May updated her cabinet on Tuesday morning about the talks with the EU and said it was “clear that these discussions with the EU will need a little more time to conclude”. Speaking after a dinner with Brexit Secretary Steve Barclay on Monday night, EU negotiator Michel Barnier said the talks had been “constructive”, but added it was “clear from our side we’re not going to reopen the withdrawal agreement, but we will continue our discussions in the coming days”. A statement from the Department for Exiting the European Union said Mr Barclay and Mr Barnier had agreed to further talks and their teams would continue to work in the meantime “on finding a way forward”. Mrs May also said in her statement that the pair were discussing ideas for alternative arrangements that had come from a working group of MPs back in London. Mr Barclay will be joined by Cabinet Office Minister David Lidington in Strasbourg on Tuesday for further talks with MEPs and a meeting with the European Parliament’s chief Brexit negotiator Guy Verhofstadt. The prime minister’s critics say she is just pretending to try to get changes to the deal she signed with the EU so she can push the final vote on it right down to the wire. Labour’s shadow Brexit secretary Sir Keir Starmer says what she actually intends to do is return to Parliament after the 21-22 March European Council summit, the week before Brexit, and offer MPs a “binary choice” – her deal or no deal. Holding such a vote a few days before Britain leaves the EU might scare enough Labour MPs worried about a no-deal Brexit into backing the prime minister to get it through. The government insists this is not its strategy and it will hold a “meaningful vote” as soon as it gets the changes to the deal it is seeking from Brussels. It also follows an exchange of letters between Mrs May and Labour leader Jeremy Corbyn. 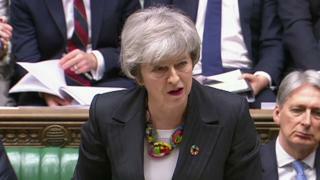 The prime minister has struck a conciliatory tone in her response and said she looked forward to the two parties meeting again “as soon as possible” to discuss ways forward on Brexit. Some of Mrs May’s cabinet colleagues also quashed the idea, with International Trade Secretary Liam Fox calling Mr Corbyn’s proposal a “dangerous delusion”. Commons leader Andrea Leadsom said there was “no chance” of Mrs May accepting Labour’s Brexit vision, adding that the prime minister had been “absolutely clear” the UK was leaving the customs union.